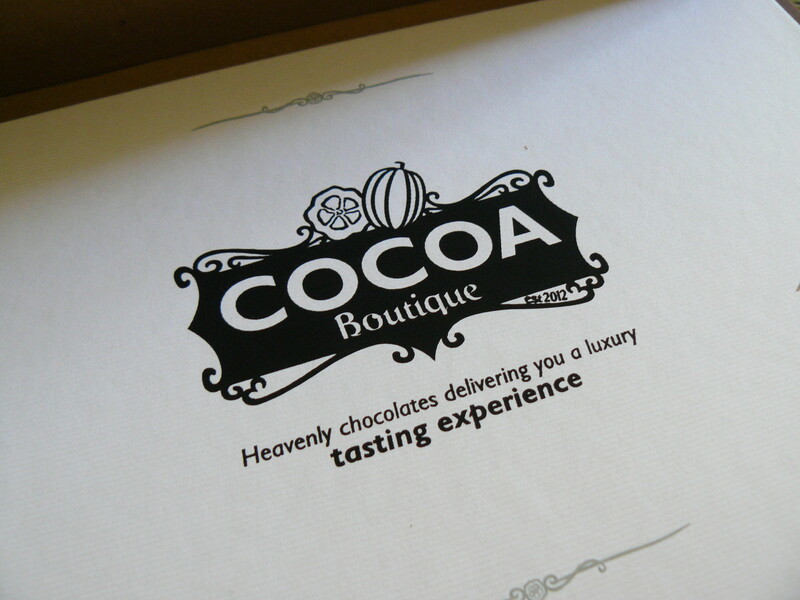 Cocoa Boutique, a luxury artisan chocolate club, recently launched their website and I was asked to test out their ‘Tasting Box’. Never one to turn down chocolate, I agreed. The box arrived on my doorstep and The Whiteman 3 tasting team was off. Inside the beautifully packaged box were 15 different varieties of chocolates, an letter introducing the chocolatiers who created the tasty delights and a menu describing each chocolate and which chocolatier made them. If you’re into your chocolatiers, this tasting box featured Barry Colenso who was on the team that made Kate and Wills ‘groom’ wedding cake… fancy! Additionally on the menu, Cocoa Boutique included a score card for each chocolate. Like wine tasting, chocolate has its own subtle flavours, notes and textures, this was a way to keep track of all of them. Each evening over a week, as an after dinner treat, M and I tucked into the chocolates, studying the menu to see which ones we wanted to try first. I went for the Rum Cafe Cream a blend of milk and dark chocolate with an infusion of rum. I gave this one an 8 out of 10 as I felt it could have leaned more toward the dark chocolate side, but that might be personal preference. Next up was the Cocoa Dusted Dark Chocolate Salted Caramel. There were three included, but I just tried one. This was something very special. I gave it a 9 out of 10. Other highlights included the ‘Pamela’ which had painted flakes of pink and gold on top and the Dark Chocolate Coffee Beans. As far as a box of chocolates goes, this is a very special treat. The presentation is amazing and it is a fun way to try different varieties you wouldn’t normally get in your everyday selection box from the supermarket. It would make an ideal treat for a dinner party as it lends itself to discussion and conversation about chocolate. Being a self professed connoisseur of chocolate, my only critique is that I think the chocolates could be a bit more adventurous. 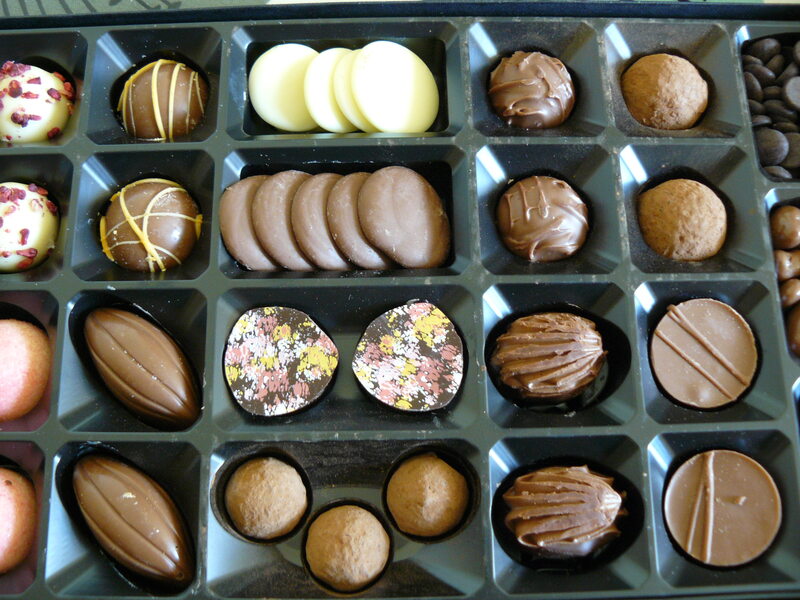 Who knows, maybe in future Tasting Boxes, Cocoa Boutique will push the boat out and include some wild combinations! However, this was an introduction Tasting Box to a new company, I think they got it spot on. If you would like to try your own Tasting Box or become part of the artisan chocolate club, Cocoa Boutique are offering an introductory price of £9.95 or you could enter to win free chocolates. To keep up to date on all things Cocoa Boutique, you can follow them on Facebook, Twitter and Pinterest.